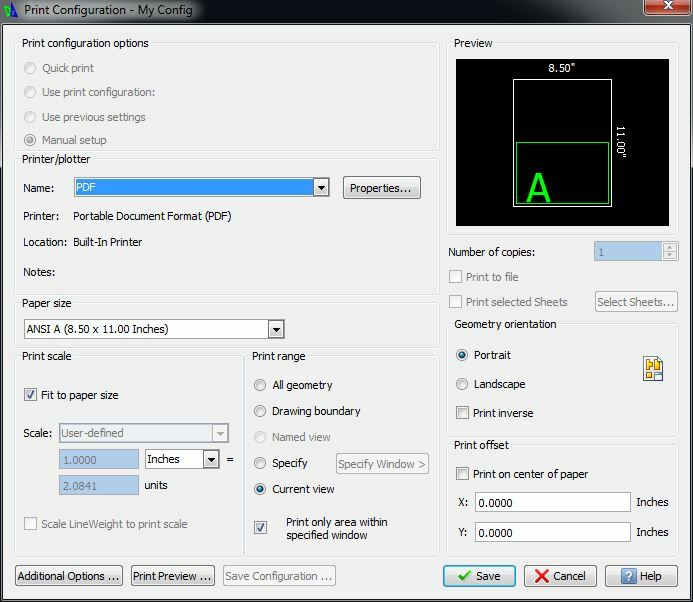 Where is Print Configuration located in DraftSight? 2. On Model tab Right click and you will see following options . For sheets Right click on Sheet tab . 1. When you click on Print Configuration Manager tab following dialog box will pop up . 3. 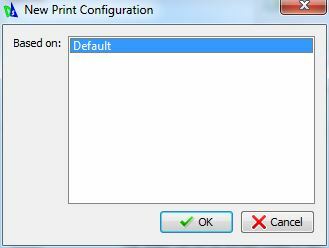 New Print Configuration will be based on ‘Default’ Select it and click ‘Ok’ on dialog box. 4. Next Print dialog box will open . 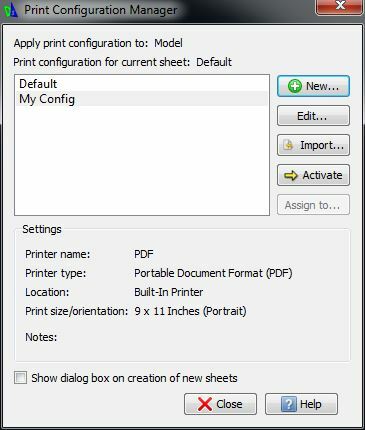 Here Select details of your Printer and paper size you want and then Click on ‘Save’ tab Notice here ‘Ok’ tab of Print dialog box is changed to ‘Save’ means it only saves your New print configuration details. 5. 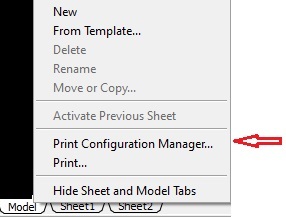 Your new Print Configuration will appear on ‘Print Configuration Manager…’ Select it > Activate it and Close Dialog box. 6. You can edit it by clicking on ‘Edit…’ tab if you miss some details or want to modify it. 8. 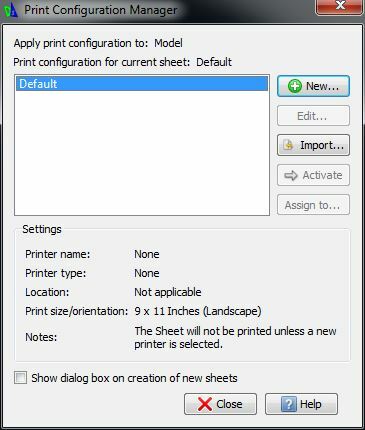 CheckBox: Notice check box on ‘Print Configuration Manager…’ if you want this dialog box on creation of new Sheets then select it. It will pop up when you create new sheet and also when you click any Existing Sheet tabs first time . 9. Close: now close this dialog box and your New Print Configuration is ready for use. 10. use it for Print or Batch print . Featured Image by Salvatore Vuono. Hi. I’ve been using Draftsight for mac for a while now and everything worked well for me. Very recently I’ve seen that the Print Dialog page opens with no selection options visible in the lower right quadrant of the page. If I select “Hide Details” and then “Show Details”, the options appear. I’ve tried reinstalling DraftSight with no success. I even tried installing an older version to see if that would help. NOPE! I’m running a mac with os x El Capitan. Any insight you may be able to provide would be greatly appreciated. This is technical problem so please add your hit there. Mac os x El Capitan is new os hope DraftSight team will fix this soon.